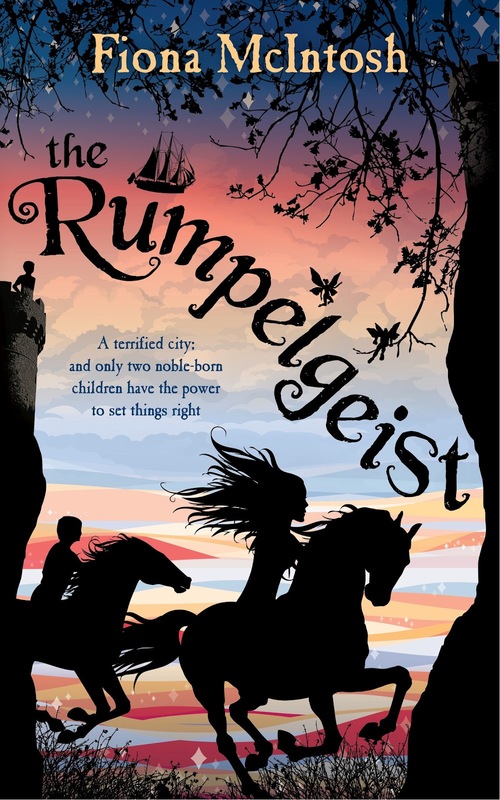 The Rumpelgiest is an adventure story about a Princess and a young nobleman who must protect the kingdom of Floris and all who live in it, especially a group of children who have been captured by an evil witch. Although definitely fantasy The Rumpelgeist it isn't the Harry Potter style of fantasy where the characters use magic to fight (although there is a little of that). This is fantasy where magic is part of the world the characters inhabit but not absolutely central to it. There are magical characters like centaurs, and some of the characters can do magic, but it isn't the over-riding theme of the book. The central theme is definitely adventure. For that reason I think this book will appeal to kids who don't normally love fantasy. The central characters are imperfect but lovable and, like all great kids adventure stories, the adults are left behind while the kids go off to save the kingdom. Fiona McIntosh has written a number of adult books and I think you can tell when you read The Rumpelgeist. The story and prose are appropriate for children but there is no lack of sophistication or depth in the story. If you are a fan of her adult books there is every chance you will really enjoy this one too! Although The Rumpelgeist is the sequel to The Whisperer it definitely stands alone as a novel. I haven't read the first book, although having read The Rumpelgeist I really want to. Who'll love this: Girls and boys aged about 10 plus, particularly those who love fantasy.